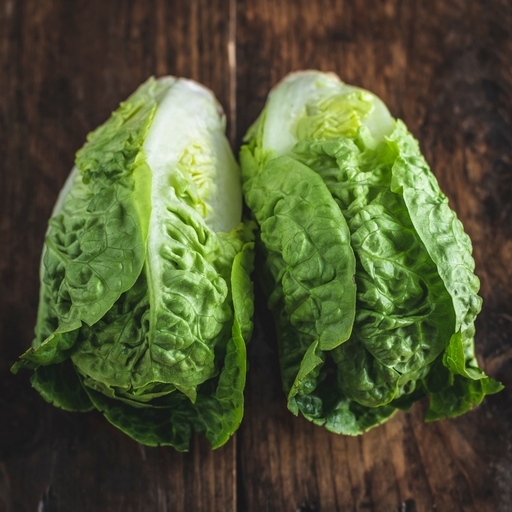 Little Gems are really mini Cos: upright, old-fashioned Mr McGregor-style lettuces, with wonderful sweetness and crunch (the classic Caesar salad leaf). Snap off the stalks, turn your favourite dressing through the leaves, and serve as a fresh side salad. Little Gems also hold up well when cooked – try braising them with fresh mint. Our lettuces are sold as class 2. This means that they might not look cosmetically perfect, but they are grown for the very best flavour. (We have to tell you this to satisfy some EU rules).